There have been some shocking crashes in Formula 1 in the past year. Nothing produces a spectacle in Formula 1 on the scale of a high-speed collision or a large pile-up. The dangers of motorsport are well-known, but we're able to be thrilled at witnessing these incredible crashes without the fear that the driver(s) have been seriously hurt (for the most part). The introduction of the Halo has been a very controversial one, to say the least, but it has increased safety and probably saved at least one life this year just gone. Whether with one driver or a good chunk of the grid involved in these wrecks they are awesome for their speed and scale, and the best part is that nobody was seriously injured. In this article, we take a look at the biggest crashes of the season. Grosjean would take himself and 2 others out at the start of the Spanish GP. Romain Grosjean has successfully removed his "First Lap Nutcase" branding since his first season back in F1 in 2012 but didn't do much to help his reputation in Spain. 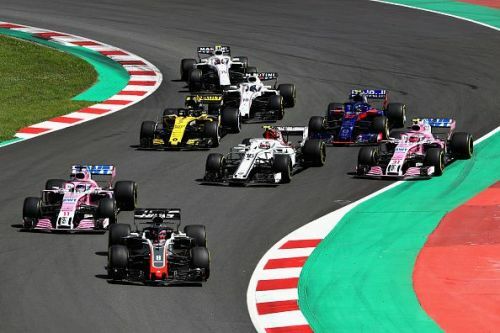 The Frenchman hadn't scored a single point in the opening four rounds thanks to both bad luck and bad driving so he was desperate to get on the board at the start of the European season. Grosjean qualified a solid P10, but still behind his teammate Kevin Magnussen for Sunday's race. Romain made a decent start and was behind Magnussen going into Turn 3, but a twitch from the Dane send Grosjean into a spin going around the long right-hander. Grosjean - perhaps foolishly so - tried to rescue the spin but only succeeding in creating a smokescreen for the drivers behind. 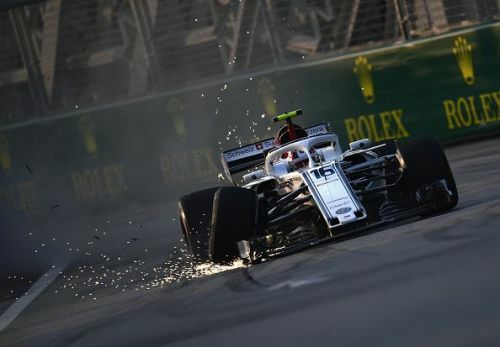 Nico Hulkenberg ran into the right side of the Haas, as did Pierre Gasly. Lots of broken carbon fibre and a few loose wheels later and all three were out of the race before it had hardly begun.